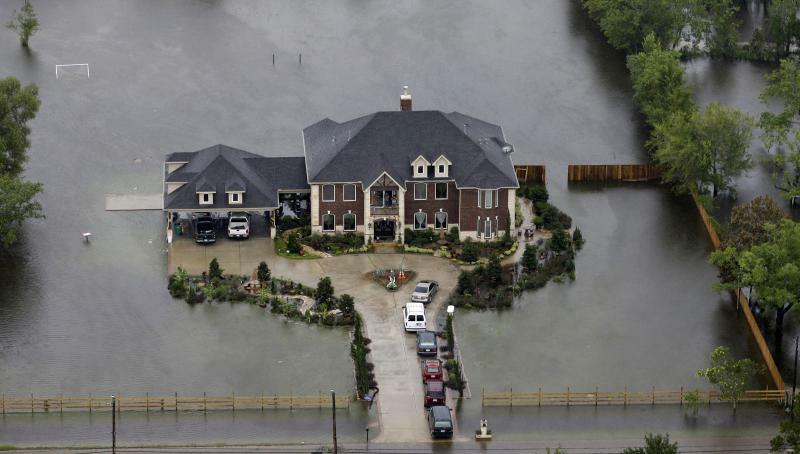 A home is surrounded by floodwaters from Tropical Storm Harvey on Tuesday, Aug. 29, 2017, in Houston. 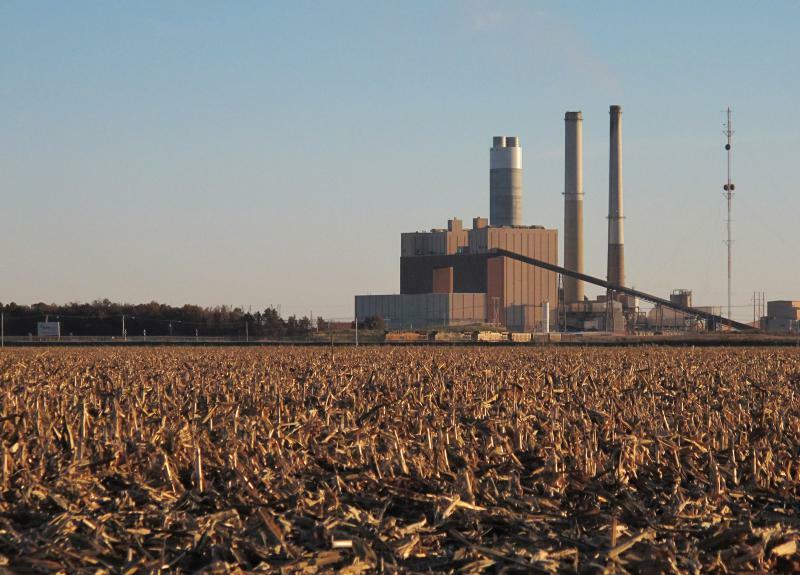 According to an Illinois State University climatologist, people shouldn't be surprised if more such events happen. Dagmar Budikova said scientists expect increased sea surface temperatures, increased atmospheric temperatures, and changing atmospheric circulation favor the formation of large storms in general, including hurricanes. “Warmer sea surface temperatures, which is what we have seen particularly in the Gulf of Mexico now and in the months leading up to now, make more energy available for the formation of storms and also the higher temperatures allow more evaporation out of water into the atmosphere which will eventually precipitate out as rain,” said Budikova. The chair of ISU’s Department of Geography, Geology, and the Environment said global climate change might shift overall weather patterns to allow hurricanes in places they have not traditionally appeared, though Harvey is far from such a case. “Basically, the tropics are expanding, so to speak. So, hurricanes theoretically could form farther north than they are now and may land in places they have not in the past. But, I am not aware of any research that shows that to be happening,” said Budikova. She noted the United States is already seeing increases in the rate of rainfall that occurs. “We have evidence in the recent historical record to suggest heavy rainfall events have increased 30 percent since the 1980s in the southeast,” said Budikova. “Extreme precipitation is something we are more confident on than other things, also extreme temperature events such as droughts and floods are something we have more confidence on,” said Budikova. She said there are not enough data to allow modeling of hurricane and cyclone increases. She said it takes on the order of a century of data, or perhaps longer to allow the signal to rise above the noise of annual variations and produce a trend. Existing models do not allow that precision, she said. The implications of the changes in precipitation severity are great for infrastructure, Budikova said, and also for settlement patterns. Once it becomes clear how different regions will be impacted by rainfall events, local governments can adapt to those changes and also become proactive in mitigating these changes and take climate patterns into account when engineers are planning for any infrastructure maintenance or update. “One of the greatest challenges that we see in the south and Houston in particular is that a lot of people are settling in the area and urban development in general is increasing and so the surface is not as permeable and so if you have increased rates of rainfall, it’s going to be very difficult for that water to drain away unless you have the infrastructure to support that,” said Budikova. There are projected increases in sea levels. Does this mean humans will build higher levies, construct new Venices, or decide that people really should not live in certain places anymore? What will be worth doing? And where, as in the story of King Canute, will it be foolish to try to hold back the waves? “If we are not going to say that we should not be living in a certain place, which I realize is not that easy, I think that our city planners and politicians need to make the choices to protect the people who do live there. So, perhaps it will be more expensive to live in areas that are more prone to extreme weather events,” said Budikova. She acknowledged that human beings invest feelings and pride of place in the locations they call home, but said they might have to pay higher taxes to remain there. An excerpt of GLT's interview with Dagmar Budikova. GLT's full interview with ISU climatologist Dagmar Budikova. 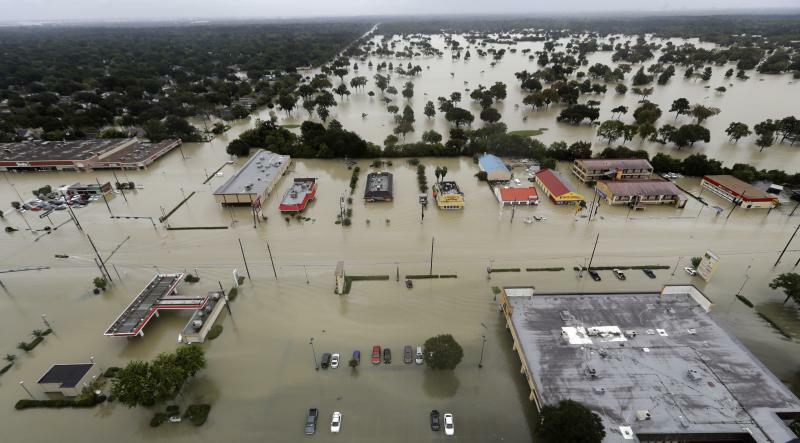 A Downs native said he and his wife made one bad decision that resulted in a two-day odyssey to escape the floodwaters of Hurricane Harvey.